Always remember that each wave is comprised of smaller wave patterns. A Grand Supercycle is made up of Supercycle waves which is made up of Cycle waves which is made up Primary waves, which is made up of Intermediate waves which is made up of Minor waves which is made up of Minute waves which is made up of Minuette waves which is made up of Sub-Minuette waves. Did you get all that? 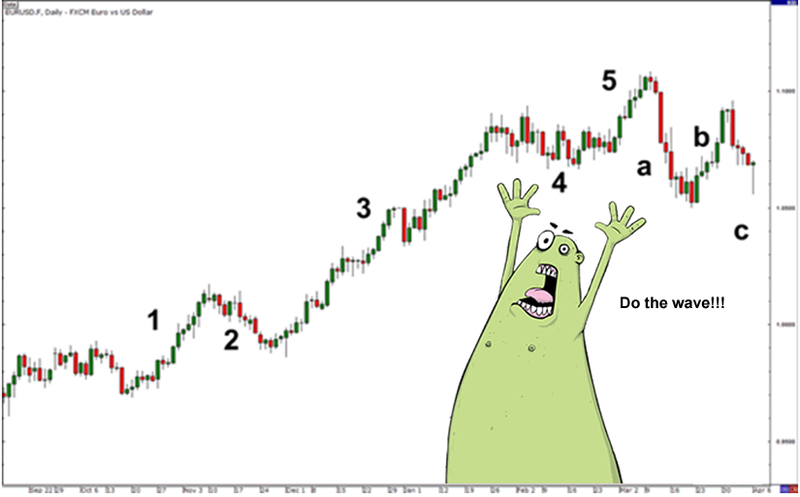 Okay, to make things much clearer, let’s see how an Elliott Wave looks in real life. As you can see, waves aren’t shaped perfectly in real life. You’ll also learn it’s sometimes difficult to label waves.